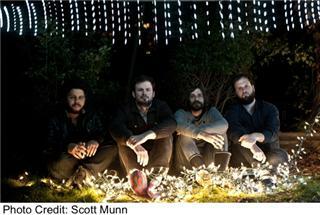 Wintersleep has spent the last decade establishing, developing, and re-inventing their sound to share with audiences around the world. After winning a Juno Award for 2007s Welcome To The Night Sky, touring extensively in support of 2010s New Inheritors and performing on The Late Show With David Letterman last year, the band settled down during the summer of 2011 to focus on their next endeavor. Co-produced and mixed by Dave Fridmann (MGMT, The Flaming Lips) and Tony Doogan (Belle & Sebastian, Mogwai), Wintersleeps new album, Hello Hum, signifies a new chapter in the bands history. Inspired by the members collective experiences, waking dreams, and musical experimentations, Hello Hum will be released June 12th via Roll Call Records/ILG. A collection of diverse tracks that showcase the bands versatility, Hello Hum contains a mix of bright, upbeat tunes and soft, sweet ballads. For a preview of the album, check out "Resuscitate," a lively cut driven by energetic bursts of guitar and dynamic percussion. Download the "Resuscitate" MP3 where it premiered with MTV Hive or HERE and feel free to post and share this track! 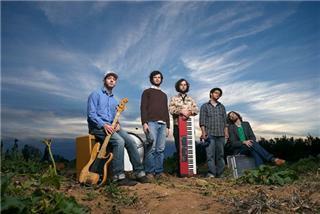 "Resuscitate" is out now on iTunes and album track "In Came The Flood" is also available at Wintersleep.com. 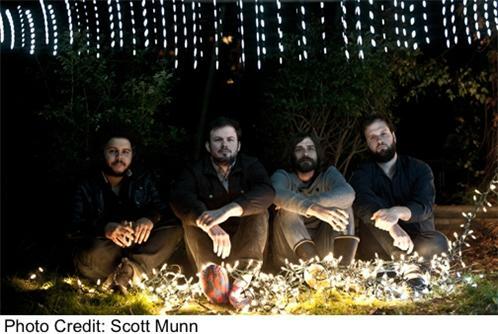 Characterized by resonant harmonies, rich layers of elaborate instrumentation and ear-catching melodies, Wintersleep produces music that has the ability to grab listeners with its pop charm and keep them captivated with its subtle complexities. The new record opens with "Hum," offering a swirling, slow-building intro to the series of energetic tracks that follow. The upbeat "In Came The Flood" showcases the depth of the bands sound, featuring melodic vocals atop a densely layered foundation of guitars, vocal harmonies, and driving percussion. From its first note, "Nothing Is Anything (Without You)" possesses the instant appeal of a pop tune, with a prominent guitar melody and toe-tapping rhythm. "Smoke" closes out the album on a softer note, allowing melodic vocals to shine over a subdued instrumental background and steady rolling drum beat. 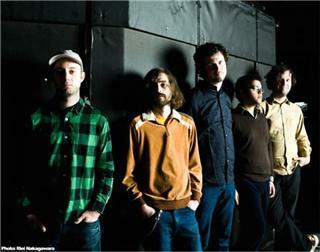 Wintersleep has seen successful tours in North America, the UK, Ireland and Europe, sharing stages with Pearl Jam, Broken Social Scene, Wolf Parade, The Hold Steady and Paul McCartney among others. Praised by Flavorpill as having "catchy hooks, intricately crafted arrangements and intelligent lyrics," stay tuned for more from Wintersleep as they storm the US this spring!